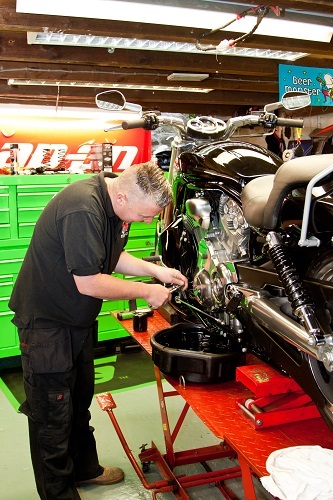 Our experienced and qualified staff are able to undertake servicing and repairs on most makes of motorcycle. You can now book your MOT. We approach every job with the care and professionalism you would expect when working on your pride and joy. If you are looking for project work, rebuilds and restoration, track bike conversion or any custom project why not give us a call and discuss you requirements. We also undertake accident recovery and repair. Call us before you call your insurance company. Find out more HERE!